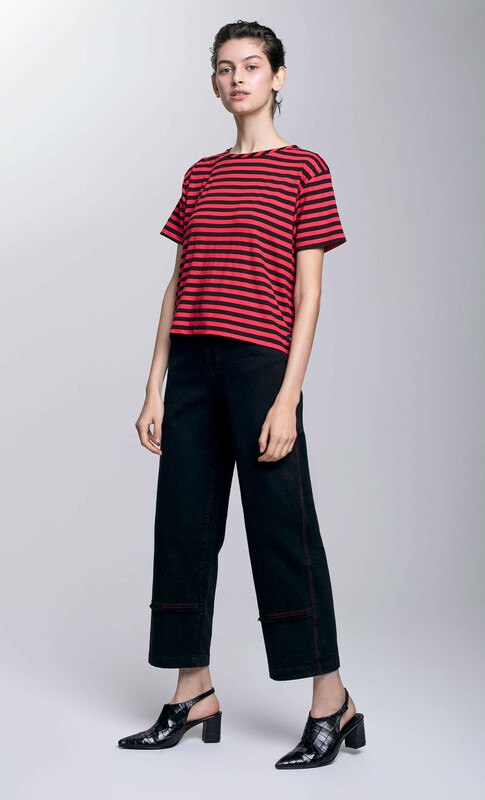 This effortlessly chic top epitomises DORIN FRANKFURT's contemporary, minimal aesthetic. 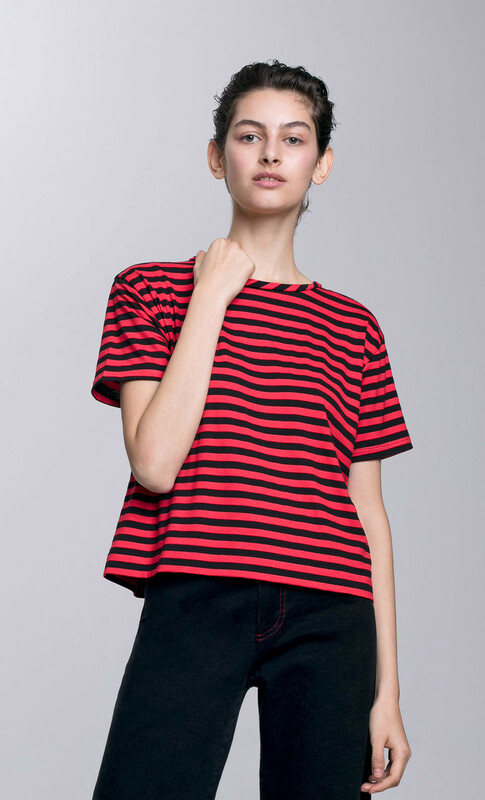 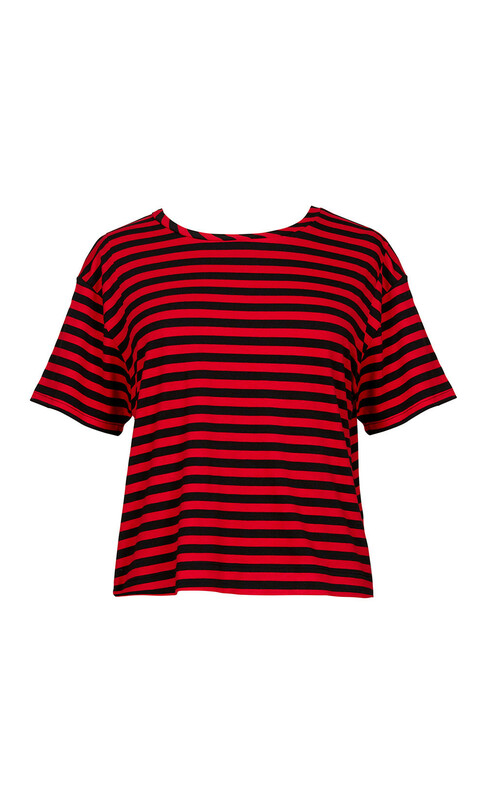 It's cut to a relaxed silhouette and is available in blue and white or red and black stripes. 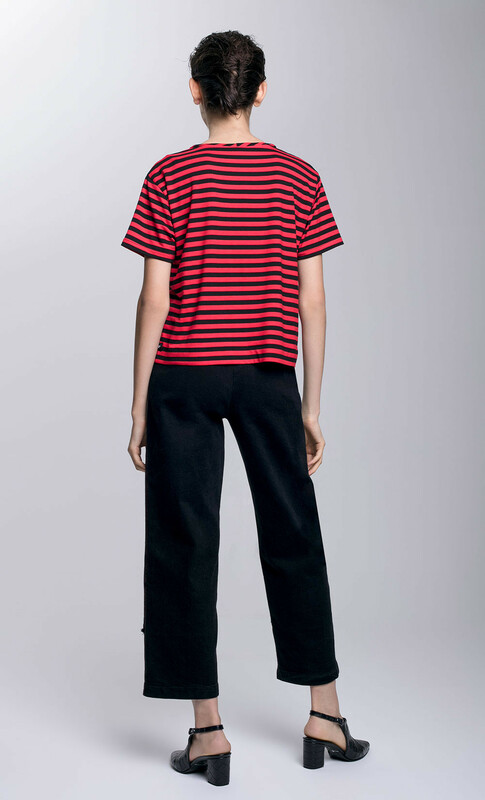 60% Viscose, 32% Polyester, 8% Lycra.